"Planning to have more babies and would 100% use Dr. Lena again!" Lena Nguyen, DO provides a holistic approach to women’s health care at the Fountain Valley, California-based practice, The Women’s Health Center. Dr. Nguyen is passionate about providing excellent patient care to ensure the health of each patient’s body, mind, and spirit and is known for her provision of prenatal care including high-risk pregnancy, family planning and contraception services, and minimally invasive gynecologic surgeries. 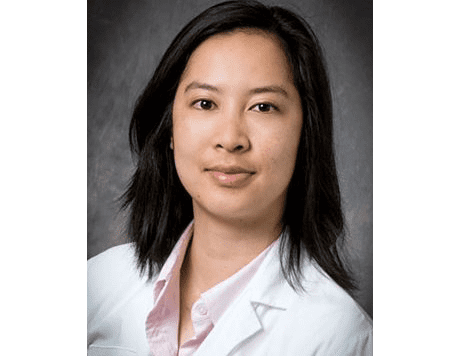 Dr. Nguyen’s passion for women’s health helps her to forge long-lasting relationships with her patients, helping them through the many changes of life experienced by women. 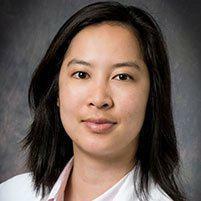 Born and raised in Orange County, Dr. Nguyen completed her bachelor’s degree at the University of California, Irvine. She earned her medical degree at Western University in Pomona, California, where she discovered her passion for women’s health, eventually specializing in obstetrics and gynecology. During medical school, Dr. Nguyen participated in a humanitarian mission to Vietnam where she worked as a translator for surgeons and patients. After medical school, Dr. Nguyen served her residency at Rutgers New Jersey. Dr. Nguyen returned to Southern California after a few too many East Coast Winters and joined the Women’s Health Center in 2015. When she is not providing high-quality healthcare to women, she can be found enjoying the beautiful Southern California weather by hiking, bouldering, rock climbing, and practicing photography.